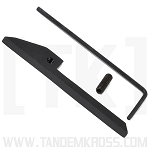 The TANDEMKROSS "Shadow Rail" for Ruger® 22/45™ is a picatinny rail designed according to military specs. Customers demanded it and we listened! 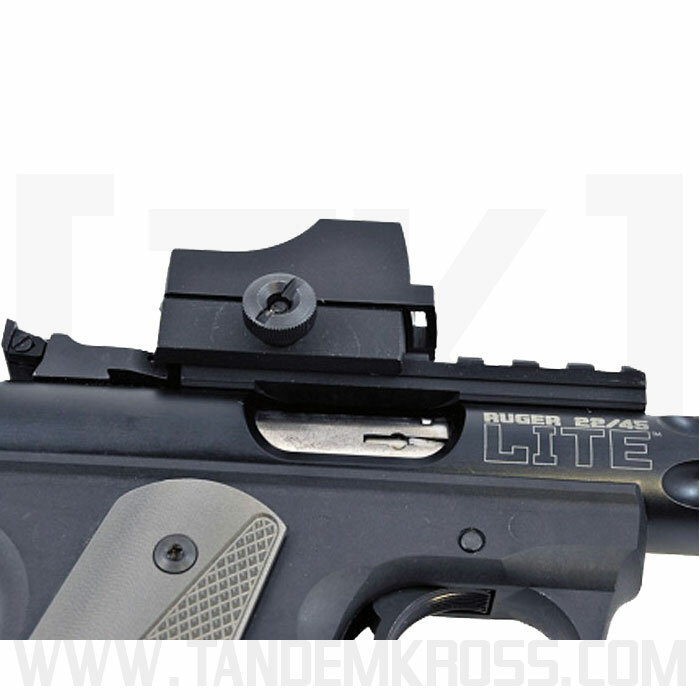 The TANDEMKROSS "Shadow" Picatinny Rail for Ruger® Mark Series and 22/45™ is here and is a superior upgrade that both competition shooters and backyard plinkers can benefit from. Not only does the Mil-spec picatinny design allow for more precise and customized placement of optics, it is the perfect length and doesn’t have an unsightly overhang over the barrel. The underside of the rail has a relieved ejection port area to provide a sure ejection of spent brass. 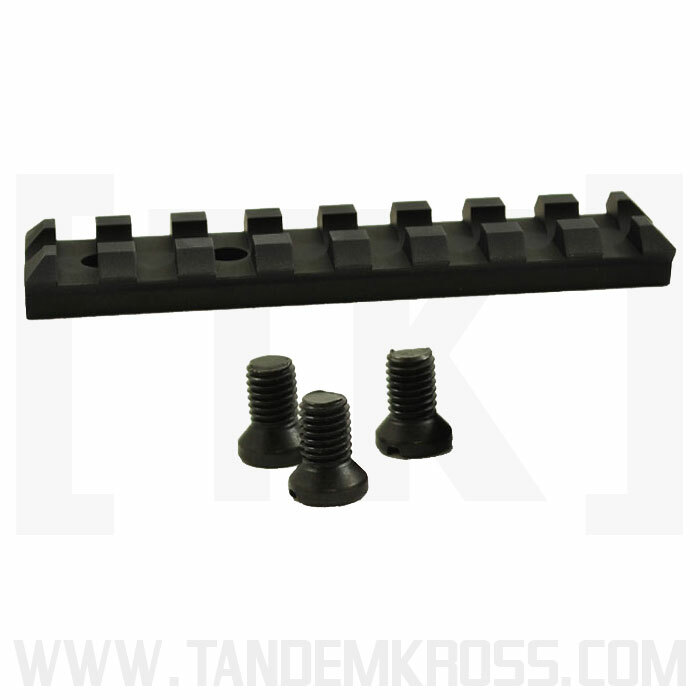 This rail can be used with both fixed and adjustable iron sights in place. This gives you the option of removing your scope or red dot and using the iron sights without removing the rail. 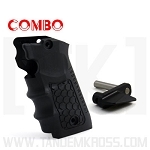 It is available in two finishes to match or highlight your pistol and comes with installation screws. 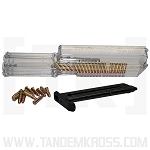 Dress up your Ruger® today and get the TANDEMKROSS Ruger® Rail! 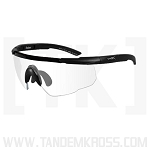 Don't forget, all TANDEMKROSS products are Made in the USA come with a LIFETIME guarantee! 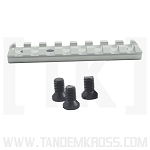 After having an epic fail with Ruger's factory picatinny rail for the 22/45(which required a replacement gun under warranty from Ruger), I searched for a better option and found Tandemkross's version. This is the rail that Ruger should supply with their gun. It is the perfect size, perfect fit sight rail for the 22/45. 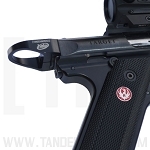 The attachment screws are the proper length unlike the factory screws, the rail is the perfect length to use with after-market sights unlike the factory rail, and the bottom of the rail is relieved over the ejection port unlike the factory version, basically every shortcoming of the factory rail is corrected with the Tandemkross rail. If you ever want to put optics on your 22/45 this is the base to get. A very nice addition to my 22/45. I mounted my Burris Fastfire optic right up with no issues, something the factory rail is lacking in. The finish and fit is fantastic. I especially like the lack of overhang in the front, it's trim look says it all. Please keep up the great product work. 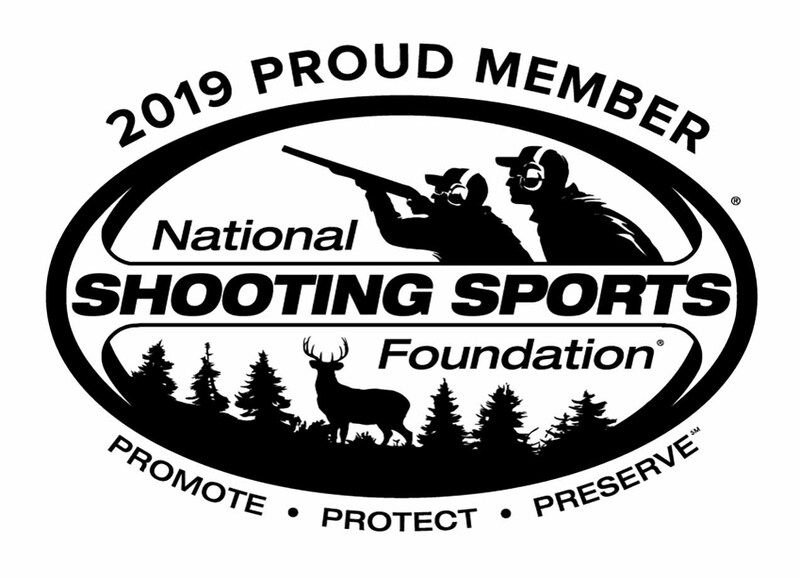 I've tried a few different rails for my Ruger mark III 22/45 and they were either too long and I would've had to remove my front sight or remove my back sight for the fit. 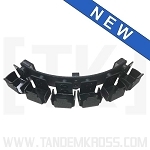 Not with the Tandemkross Shadow rail, it fits like a glove, manufactured super strong, and great price! 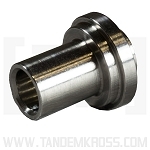 Tandemkross has developed another awesome product! I HIGHLY recommend this to anyone, especially if you've ran into the same problems with un-fitting rails like I have in the past. This rail is a much better one than the one that came from the factory with my 22/45 lite. Good fit. Well made. The way it is. The stock rail that came with my 22/45 lite was too long. Look like crap. This one looks better and fits perfect. Ruger just do it right. 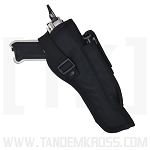 The flat black finish matches the just right perfect break and also looks well with the polymer frame. Would not hesitate to order this product again. Q: When will this item be in stock?